Thank you to our darling sister (Spell’s twin!) Luciana for alerting us to these breath taking pics!!! Tim walker shoots Agyness Deyn for the May 2011 issue of Vogue UK. Sourced here. I am SO breathless! The fourth image is beyond anything I have ever seen! Such beautiful photos and Agyness looks incredible! Oh my goodness! I couldn't look away. intriguing and mysterious, best editorial i've seen in a while. wow these are great, i presume they are photo-shopped but i love them! Gosh, I have become a real sceptic, how awful! If you are right that make them even better. Cheers for your comment, hope you don't mind the re-blogs, I just want to share your hard work. Yeah, those pictures are REALLY cool, Agyness is so pretty! This editorial reminds me a lot of a photograph I saw in the National Geographic Magazine… (http://ngm.nationalgeographic.com/visions-of-earth/visions-earth-2011)It's one of the pictures for April. 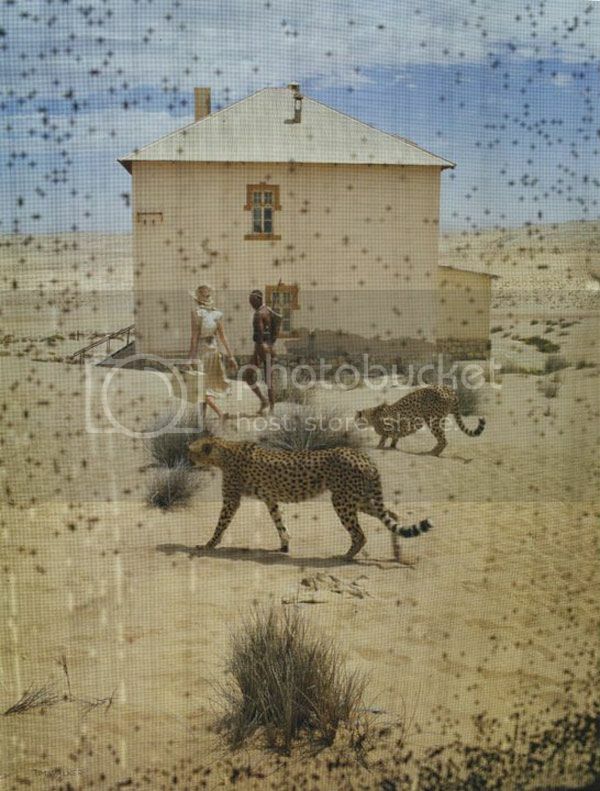 Same dreamy atmosphere of houses filling with sand… Btw, I don't think their photoshopped either! absolutely amazing. 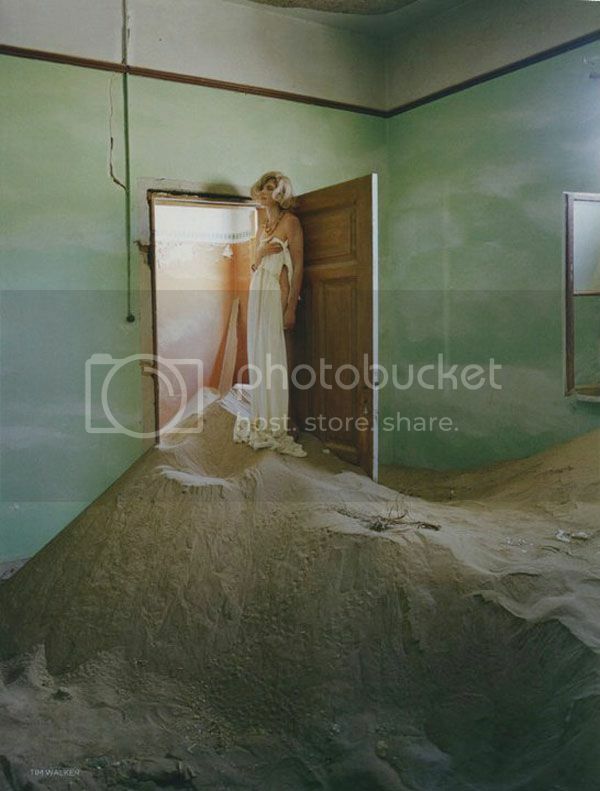 Tim Walker is soooo great! 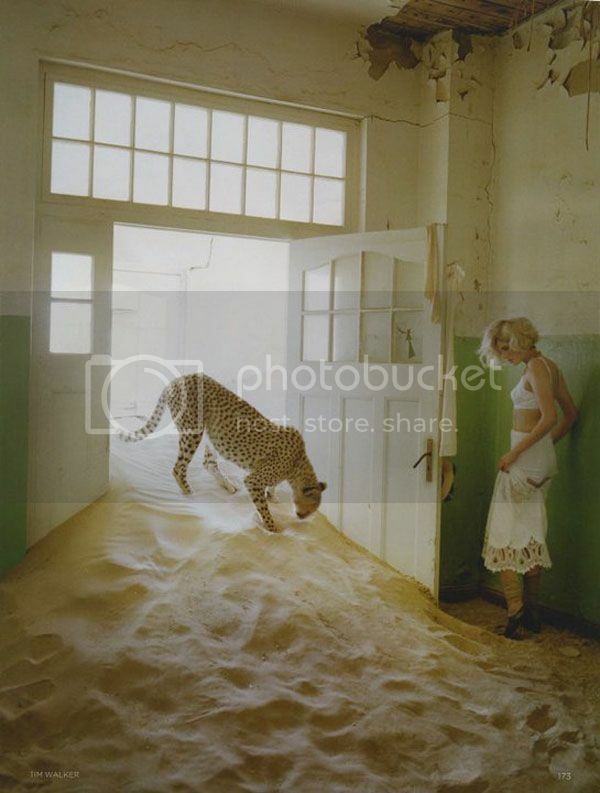 absolutely amazing, the photos with the felines are wonderful, I would like to know the name of the model. Were the photos took in Africa ?? ?